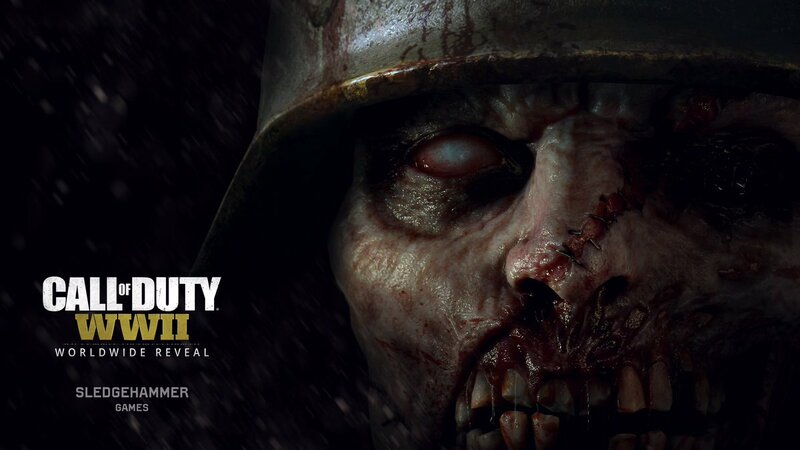 Activision and Sledgehammer Games have officially announced Call of Duty: World War II! Taking the series back to the roots, players who pre-order can get hands on a multiplayer beta later this year followed by the game’s launch on November 3rd for PlayStation 4, Xbox One and PC. The single-player campaign focuses on U.S Army private Ronald “Red” Daniels and his division’s fight through the European theater. The character is based on Glen Schofield’s (SHG co-founder) father who passed away during production. The player is surrounded by two surrogate father figures, Sgt. Pearson and Lt. Turner, who have conflicting personalities – Pearson is focussed on winning the mission even if it means the loss of his men while Turner values a soldier’s life above all else. 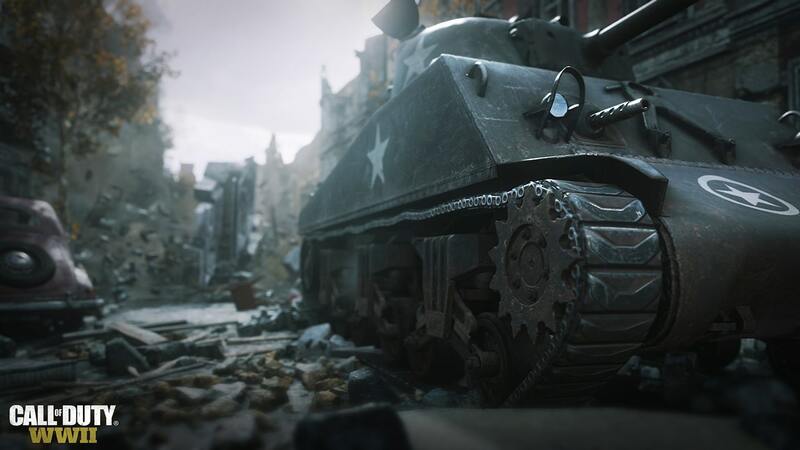 The studio has focussed on telling a personal and authentic story during the later years of the war. There are no ‘big names’ like Kevin Spacey to distract from the authenticity – Josh Duhamel, Jonathan Tucker and Jeffery Pierce are confirmed to have joined the cast. There will be moments where players see the war from a different perspective. For instance, there is one moment where players take control of a woman from the French Resistance during the liberation of Paris. 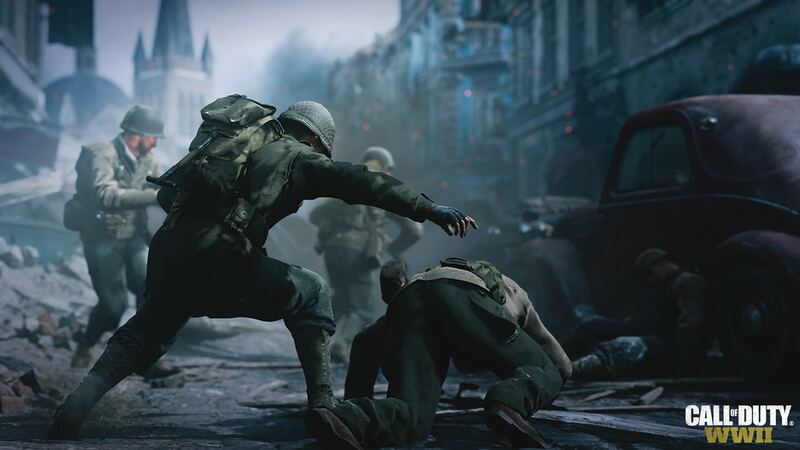 Complete opposite of Advanced Warfare’s ‘super soldier’ – more vulnerable and inexperienced. Healing and gaining ammo doesn’t automatically happen – players have to call on their squadmates to get health kits, ammo and covering fire. The story primarily takes place between 1944-1945 with some references to the events that took place between 1940-1944. Location highlights include the Invasion of Normandy, liberated Paris and the Battle of the Bulge. Social issues will be touched on, such as racism, religious persecution and sexism. Hurtgen Forest takes players to an old-growth forest on the German border. The German Army uses tree burst bombs to shower allied forces with wooden shrapnel. 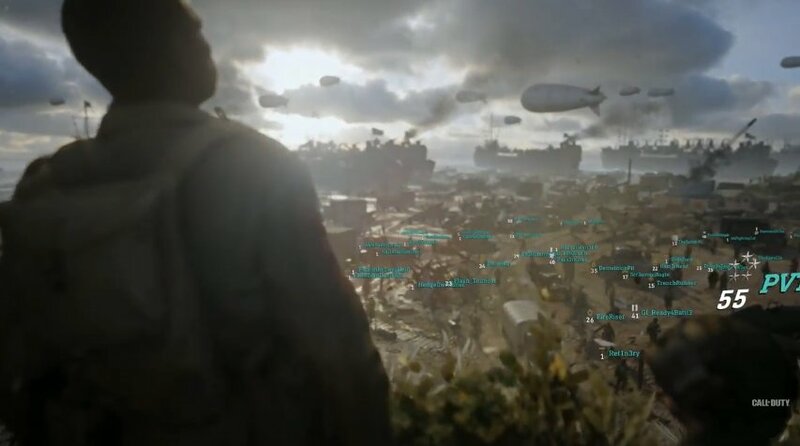 The first mission of the game, Normandy is based on the historical battle where players will storm Omaha Beach while spearheading the allied invasion. 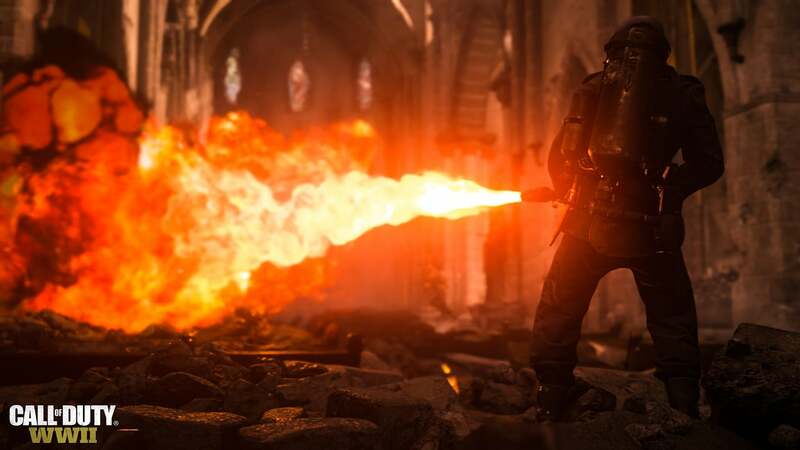 The mission is described as a ‘visceral audiovisual experience unlike any D-Day landing experienced in a game to date’. Features close-quarters combats in the trenches and a tussle which leads to an enemy soldier being beaten to death by a helmet. War – This narrative-driven mode brings a gripping new layer of excitement to Axis vs. Allies team play. Asymmetrical maps and each team has unique objectives. Divisions – A new approach to Create-a-Class and character customization as you enlist in a division and progress through the ranks. The division you enlist in helps to determine your class, gear and role. 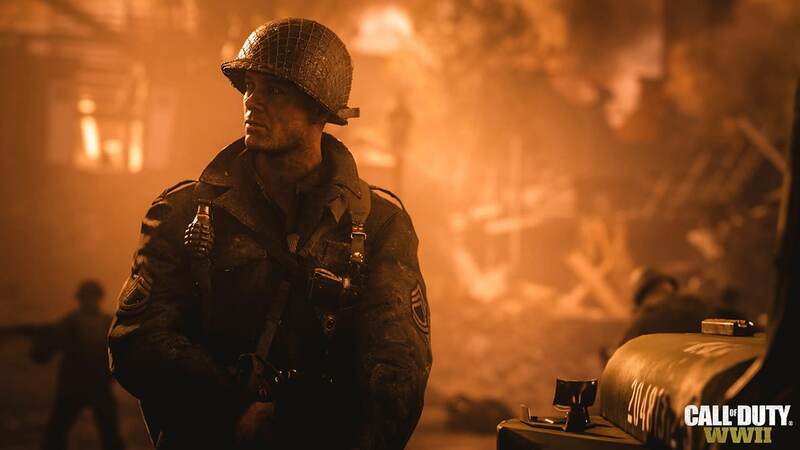 Headquarters – A brand-new, social feature for Call of Duty, where you rally and interact with your fellow soldiers (image under Screenshots). The idea is to provide a social space where players can hang out in between matches. Will include picking up rewards, connecting with players and showing off characters.